How does one live for God? Really live for God, in a way that provides both intimacy with him and yet adventure in this world? And how does one live for God in a culture that gives him a nod and a wink, but truly worships everything but him? And most importantly, what impact could a life, truly on fire for God, have on this world? 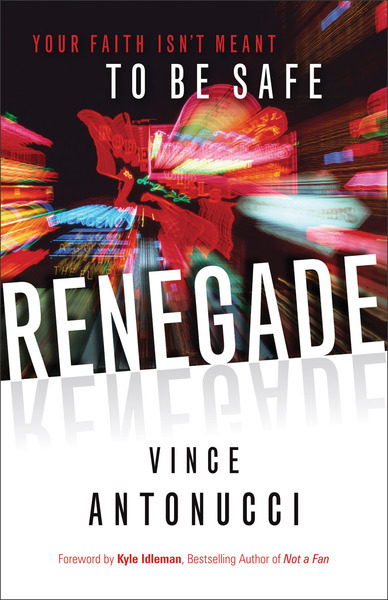 Through an insightful and penetrating look at scriptural examples, Renegade challenges readers to live radical lives for God in a culture diametrically opposed to him. Author Vince Antonucci encourages readers to reconsider what it means to live for God, teaches them how to cultivate a real relationship with him, and then equips them to discover their unique calling. For all those times we feel like we're running on empty, Antonucci provides encouragement and inspiration for readers to live out a risky, renegade faith.